Jill grew up in Park Rapids, MN and graduated from Metropolitan State University with a degree in Marketing/Business. 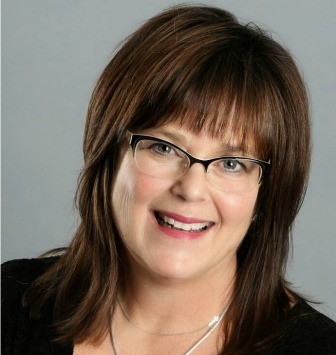 After 20 years in food service sales, Jill moved to Perham MN. Jill was the executive director for Kinship Otter Tail County for 15 years. Jill is still passionate about kids but desires to return to sales and marketing. Jill has been blessed with 3 children: Megan, Matt, and Mark, and a beautiful granddaughter: Stella. Her hobbies consist of boating, fishing, camping, biking, dancing, cooking, reading, and playing cards. She is an active member of Calvary Lutheran Church in Perham, MN. Real Estate has always intrigued Jill and she feels that her previous two successful careers along with remodeling, building, buying/selling homes have prepared her well for a busy, ever-changing, and challenging world of real estate. She welcomes the challenge of finding that “just right” property for her buyers. Sellers can list their property with the confidence that Real Estate Results and Jill will do their best to market and sell their property quickly and efficiently. Stop in or give Jill a call or an email to discuss your unique real estate needs.